Other than a sister who lives in New Hampshire, Betsy Gardella didn't know anybody in the state when she accepted the position of president and CEO of New Hampshire Public Radio. To overcome that barrier in the small state where connections are king, the public radio veteran hit the road — literally. Starting in Groveton, Berlin, Colebrook and continuing to points south, Gardella drove to countless communities to meet the people of the Granite State and learn about the issues that affect them. This community outreach has defined the Hopkinton resident's time at NHPR, which she joined in 2005 after working for American Public Media in Minnesota. 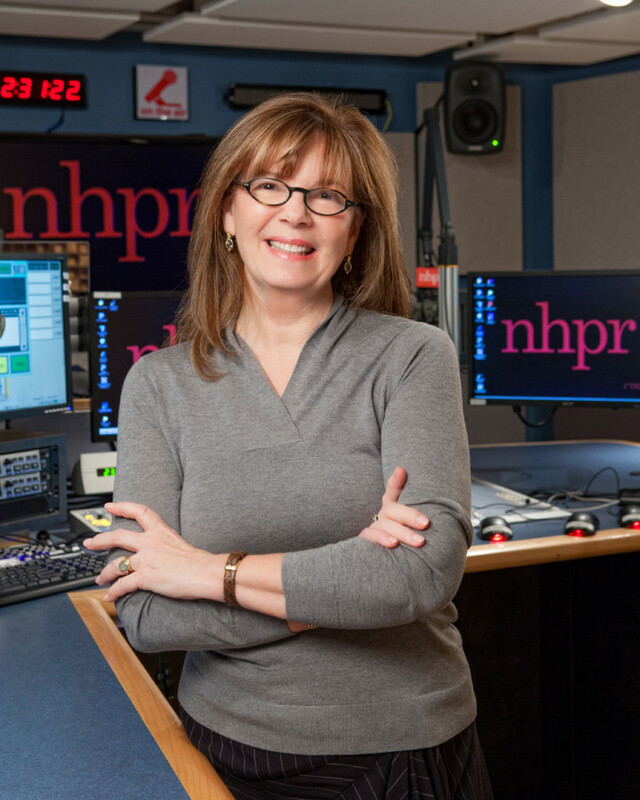 Upon arriving at NHPR, she recognized that the station's aging studios and out-of-date technology were limiting its capabilities to meet the needs of citizens in the state. So Gardella led a $6.5 million capital campaign to build a new, state-of-the-art broadcast facility, which was completed ahead of schedule during the height of the recession. Since then, NHPR has not only expanded its local news and programming, but its membership has grown from 13,000 to 18,000. Also since she arrived, NHPR has won national grants to fund the popular program "Word of Mouth," as well as its Public Insight Network, which invites commentary from local listeners to aid on-air reporting. The station also recently invested in new power transmitters in Colebrook and Littleton — efforts that help the station reach 90 percent of the state's residents. More programming and more reach has meant more people tuning in, with the number of weekly listeners growing from 117,000 to 170,000 during Gardella's tenure. And under her guidance, annual revenue has increased by more than $2 million. Lew Feldstein, one of Gardella's nominators, wrote that she has been "absolutely critical" in establishing NHPR as the premier statewide media outlet, and the only one that "touches virtually every community" in New Hampshire. It is her entrepreneurship and forward-looking vision for NHPR that led Centrix Bank to select Gardella as the first recipient of its C-Beyond Award. A. I started working in public radio at WNYC in New York City. That was a very exciting opportunity for me, because that organization was going through a huge cultural shift, and I really like change. That was a very great time, and my family would still be in New York if it hadn't been for 9/11. That had a powerful effect on my family. I had a young daughter on the time, and we decided it would be a good time to relocate. A. The changes in technology and the speed at which new technology is being adopted by consumers presents a challenge to everyone in business today. How do we keep up with consumer expectations without comprising the quality of the work that we do? We're very focused on two things looking forward — creating more local content and building our digital infrastructure. A. Happily, during my daughter's middle school years, my schedule was very flexible. I felt those were important years, particularly since we made this move to the Midwest. My parenting philosophy has always been, 'Just say yes,' so even if I've had a long day but she wants to go to dinner or see a movie, I just say yes, and it's worked pretty well for us. A. Laura Walker, who was my boss at WNYC Radio in New York, was tremendously inspiring for me. I learned so much working for her, she is a very ambitious woman and really creative and a risk-taker, and I still turn to her when I need advice. A. I would encourage people to be brave, and follow their hearts.